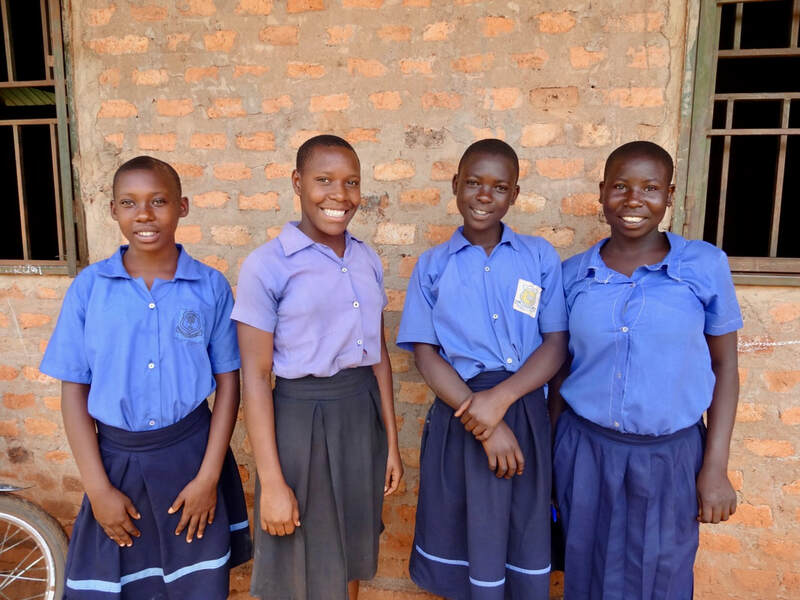 We launched our Dignity for Girls programme in February 2018 and are delighted with its progress so far. 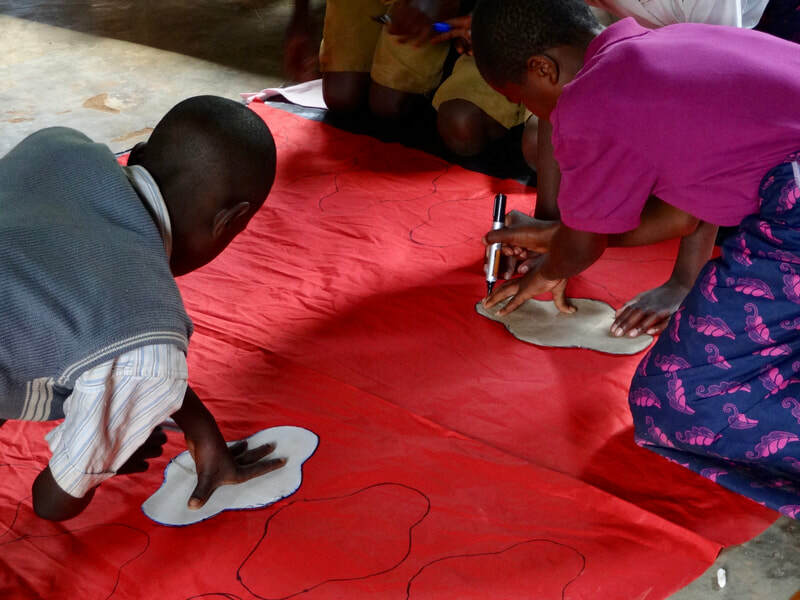 As the figures above show, we've been busy! 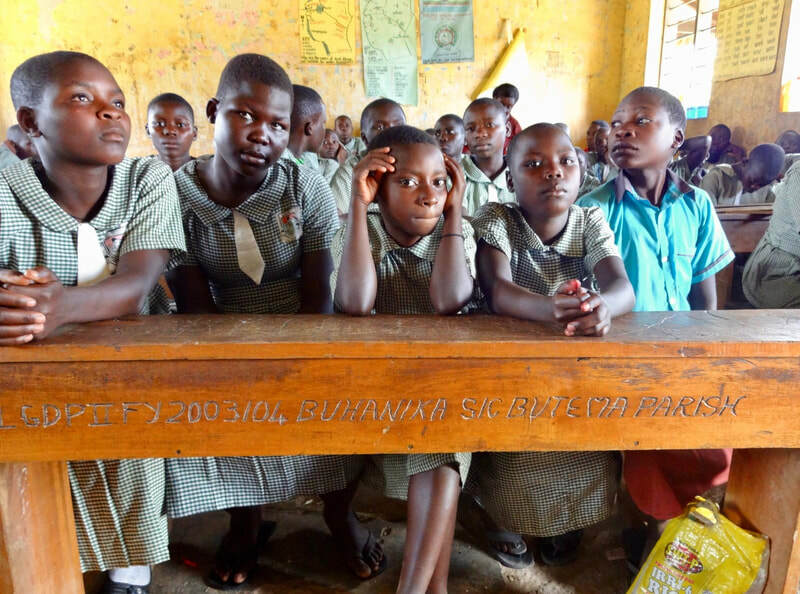 The programme, which is funded mainly by DFID and the Joffe Charitable Trust, works with 24 schools across Uganda. 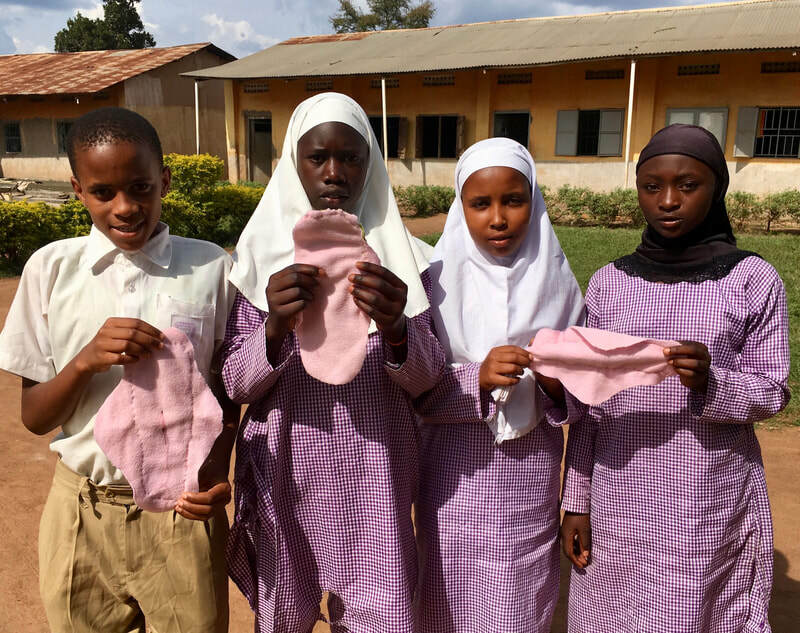 It aims to keep more girls in school after puberty by helping them manage their menstruation with confidence. 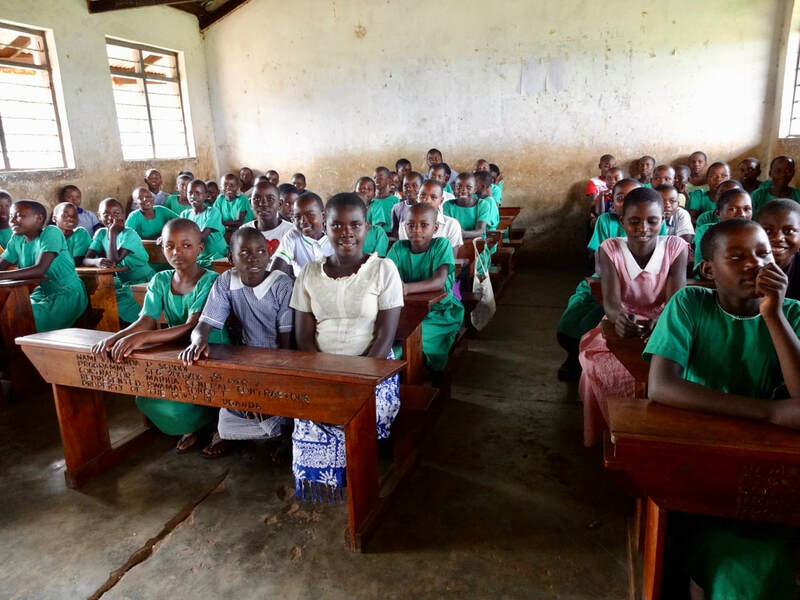 Too many girls regularly miss school every month, or even drop out of education altogether, due to difficulties in managing their periods. 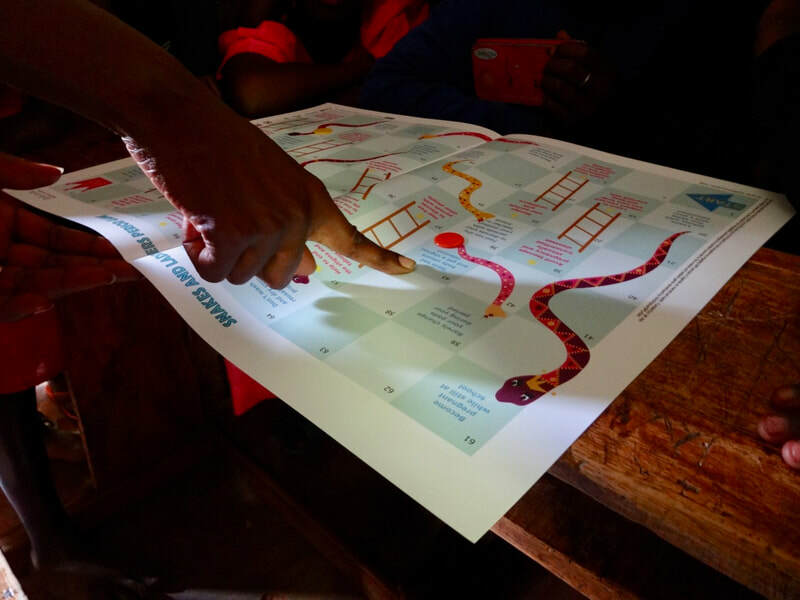 First we provide training on puberty and menstruation to girls, using our MHM toolkit and emphasising that periods are normal, natural and nothing to be ashamed of. Each girl receives a pack of reusable So Sure sanitary pads, two pairs of knickers and laundry soap. 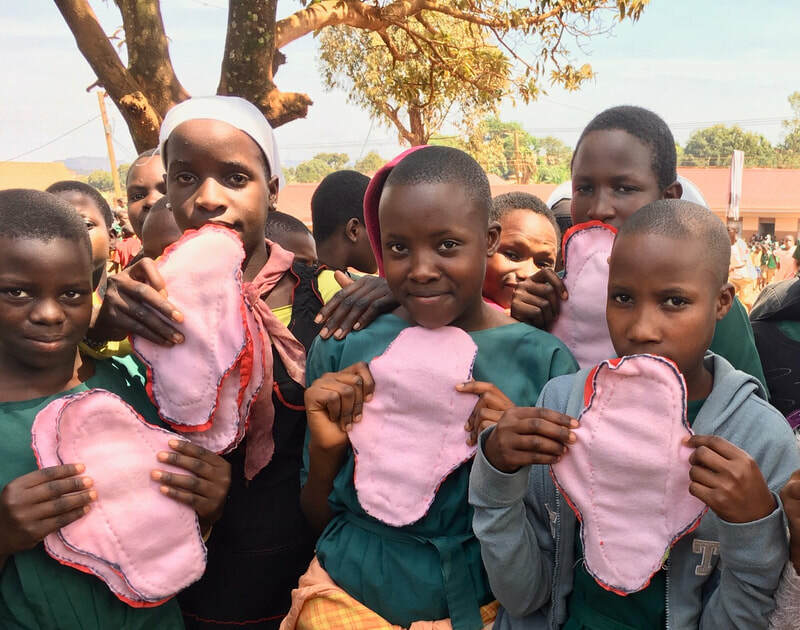 The pads will last at least two years if they are washed and dried properly – that's two years of freedom from worry and access to education. 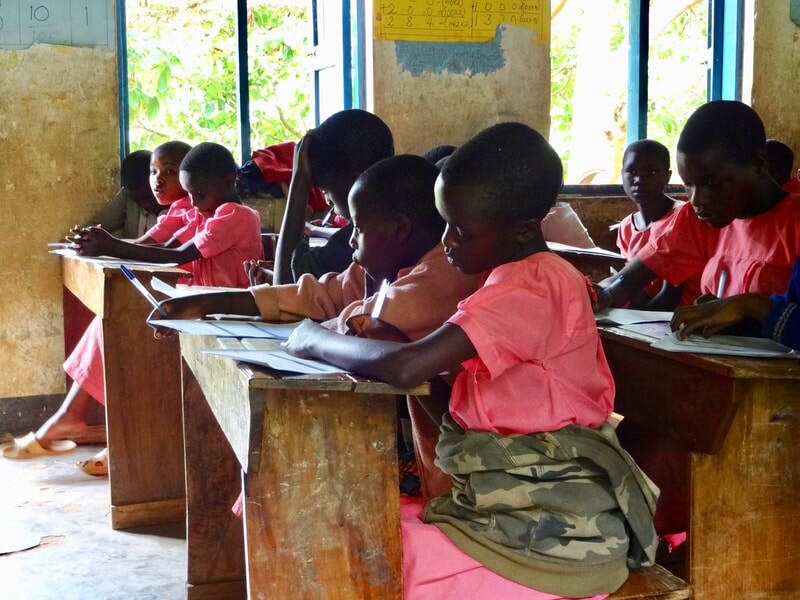 We also train the teachers, many of whom say they lack the materials and confidence to teach this subject well. 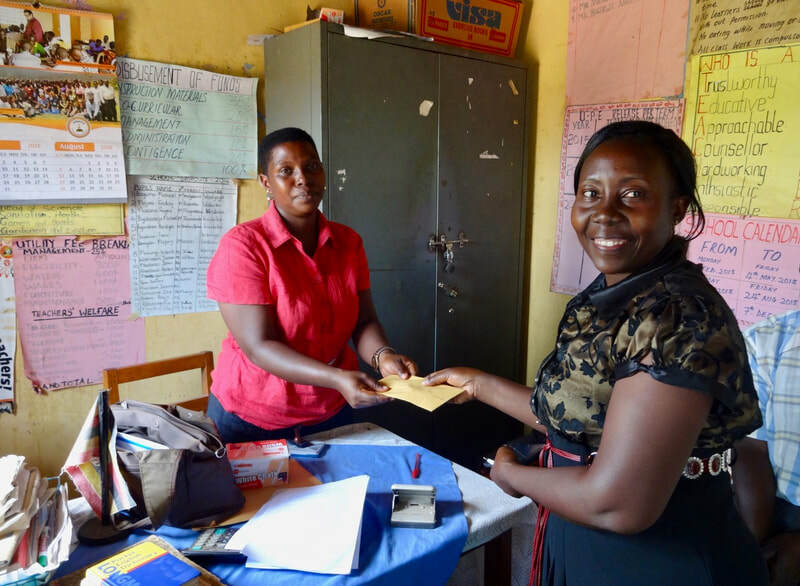 Finally, we talk to parents on the importance of good menstrual health to their daughters' well-being and education. 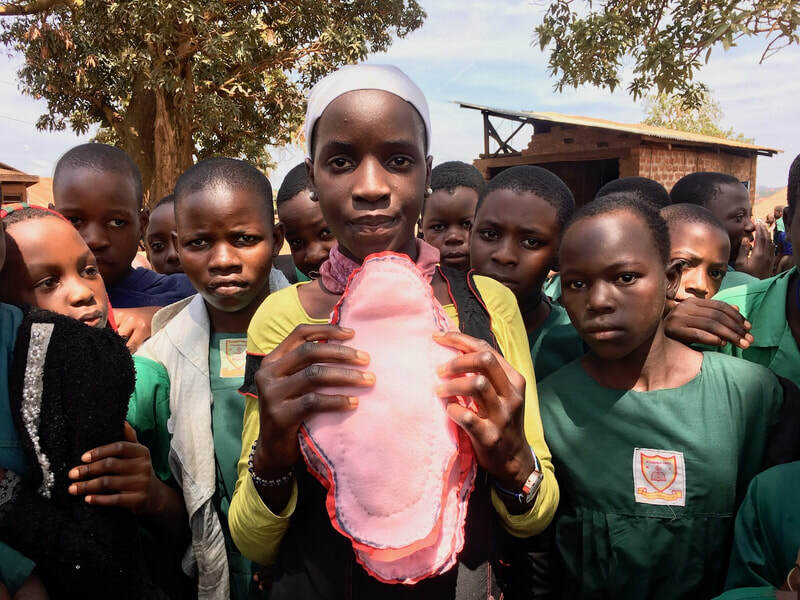 Because of the stigma around periods, fathers (who often hold the family's purse strings) don't really understand what their daughters need to manage their periods with dignity. 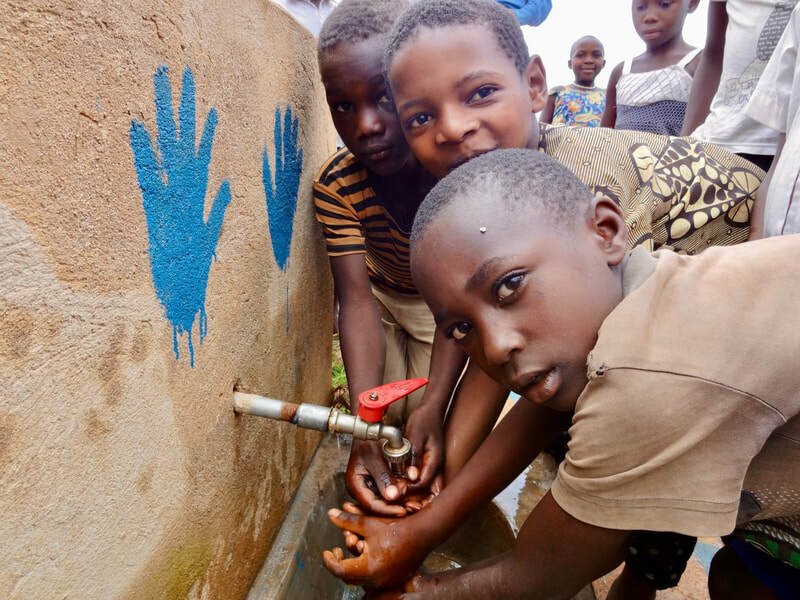 We improve the hand washing facilities and toilets in every school where we work. 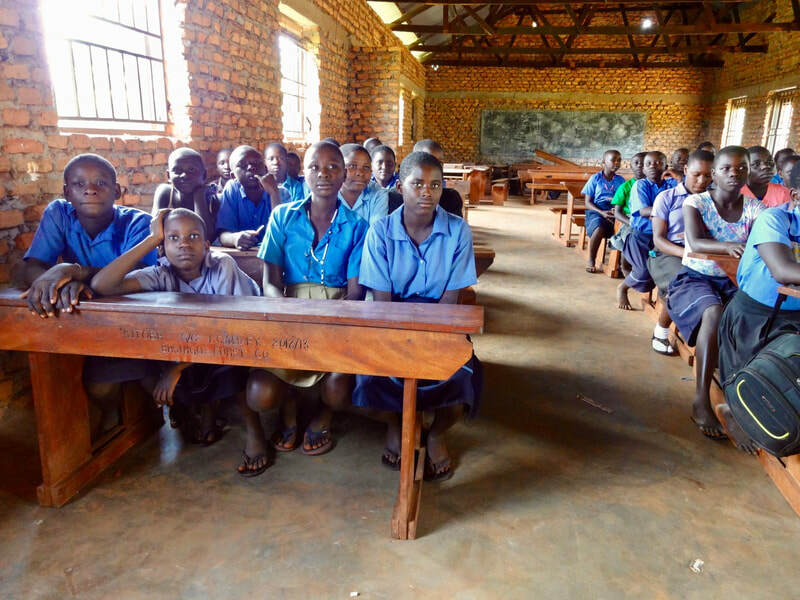 Studies show that if school latrines are in a very poor state, girls are deterred from attending school, especially during their period. 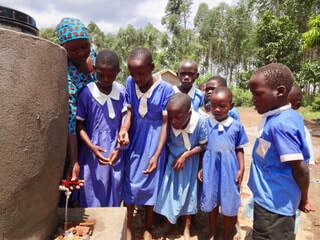 So improving a school's WASH (water, sanitation and hygiene) facilities is a key part of our Dignity for Girls programme. 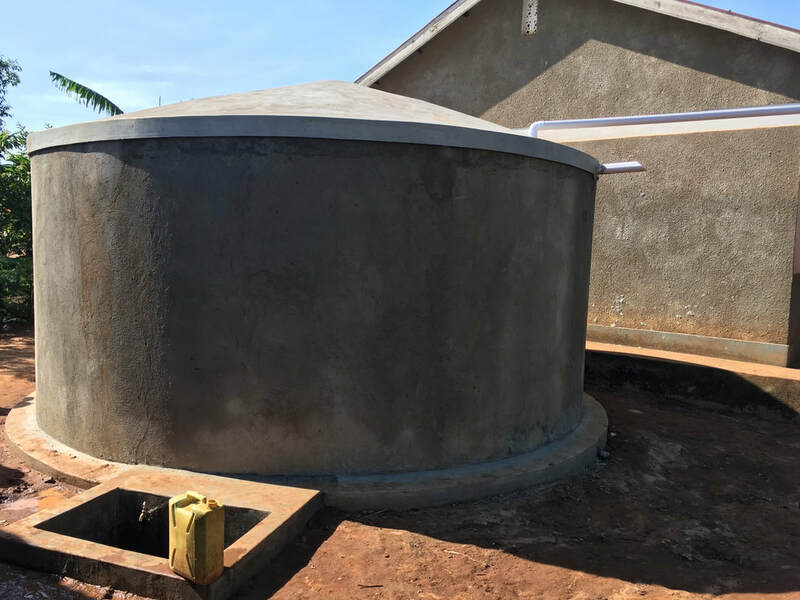 We upgrade existing latrines, installing doors where they are missing, repairing broken floors or walls, adding locks for privacy and hooks for hanging clothes, etc. 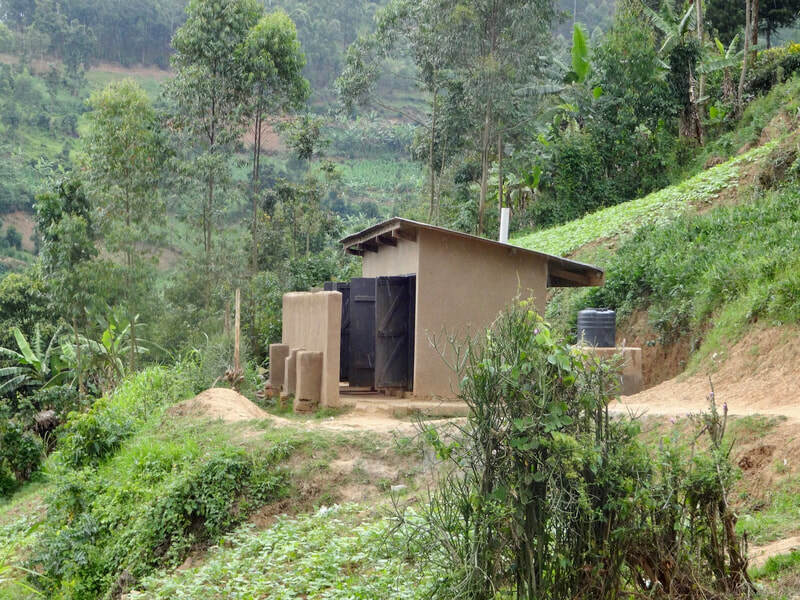 Where absolutely necessary (if latrines have collapsed, for example) we will build new ones. 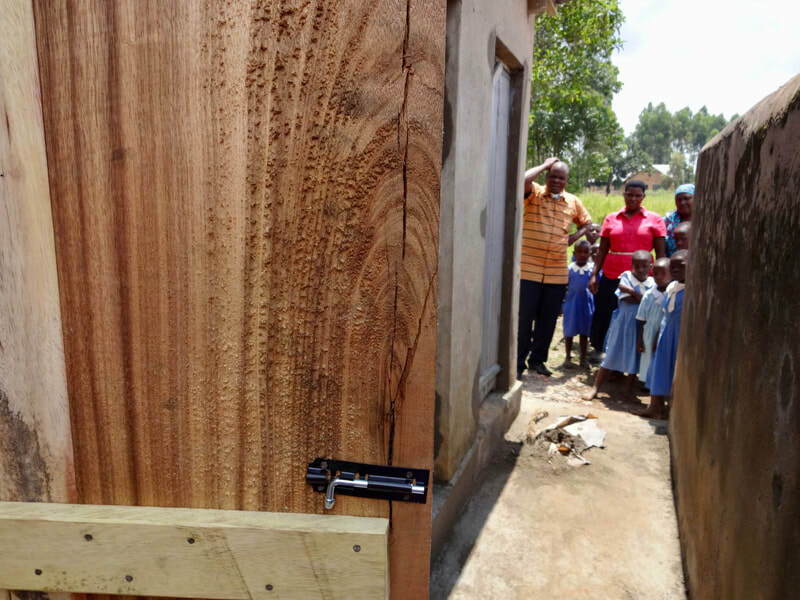 ​We build a girls' changing room in each school. 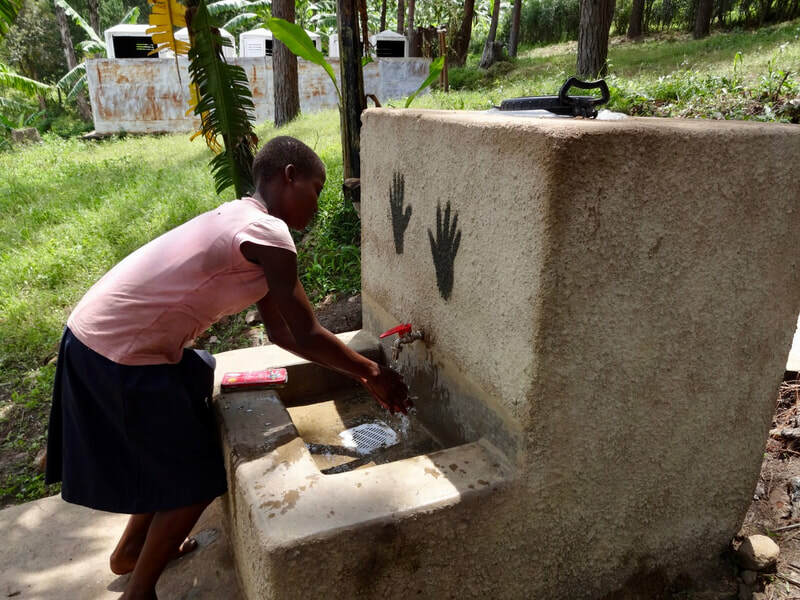 It is essentially a wash room, with buckets of water and soap, where girls can wash and change if they have soiled themselves. 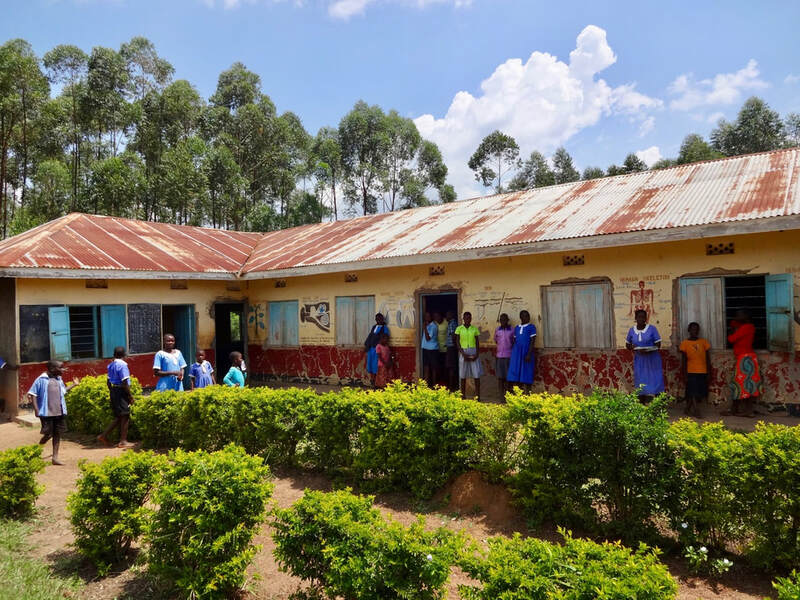 The Ministry of Education says each school should have one, although few do. 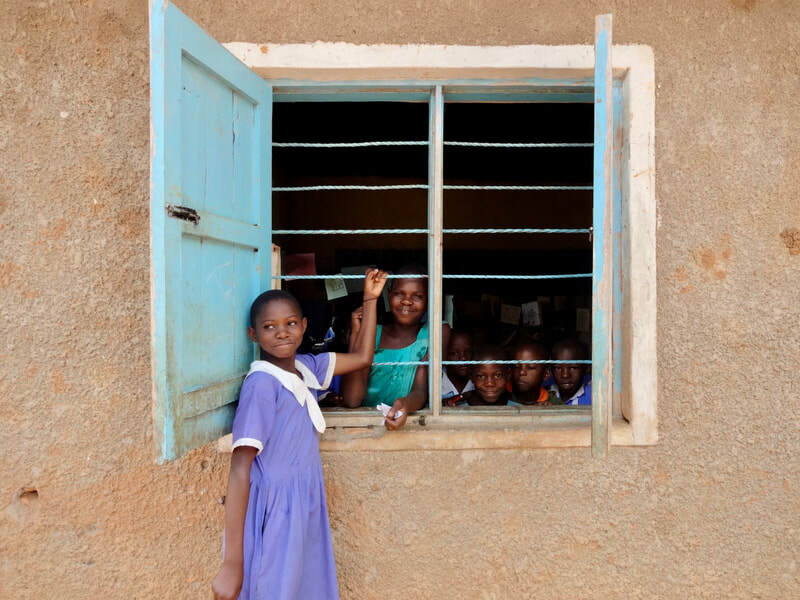 The changing rooms have proved very popular with the girls. 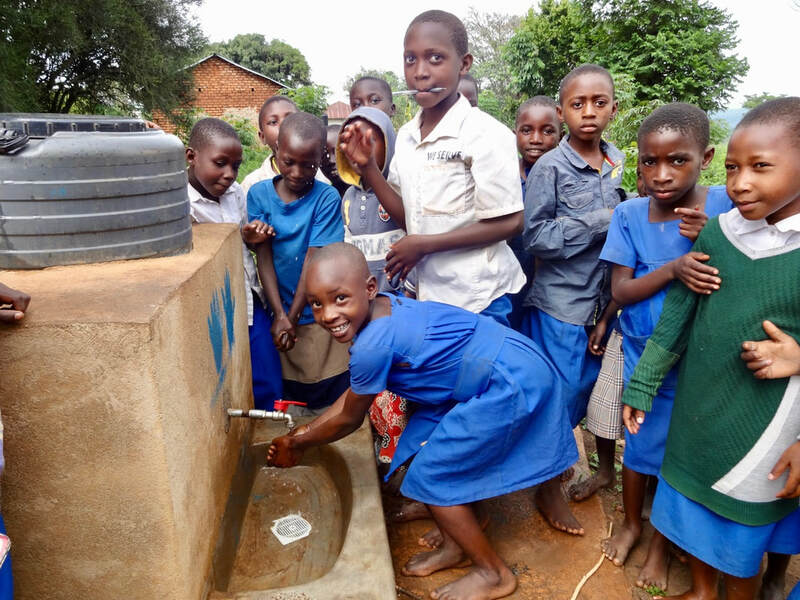 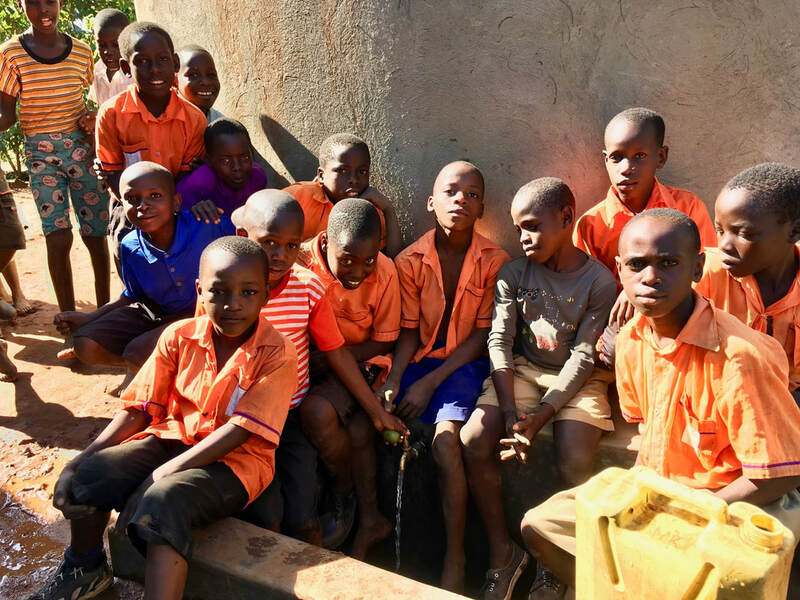 ​We also build hand washing facilities in every school – usually the first hand washing facilities the school has ever had – and where access to water is particularly difficult, we install rainwater harvesting tanks or repair broken gutters to any existing tanks. 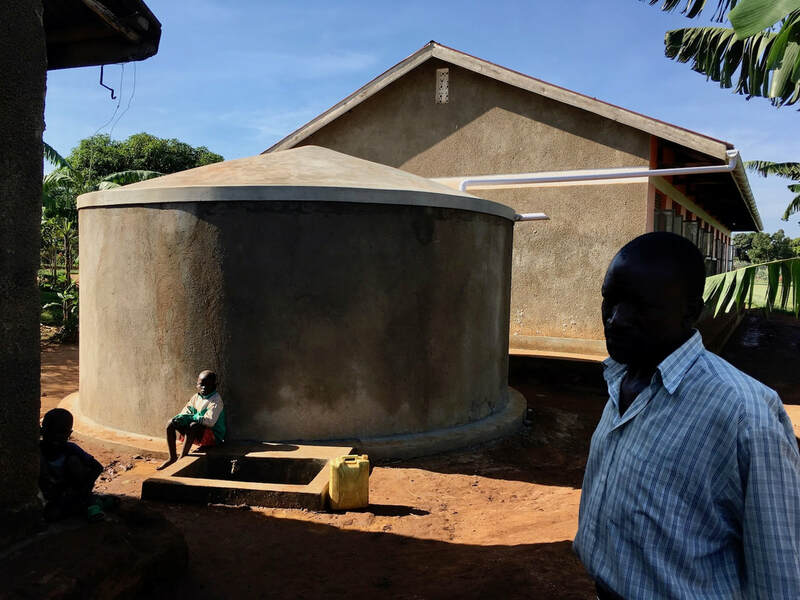 So far we have installed 10 large, brick tanks, built by Brick by Brick Construction. 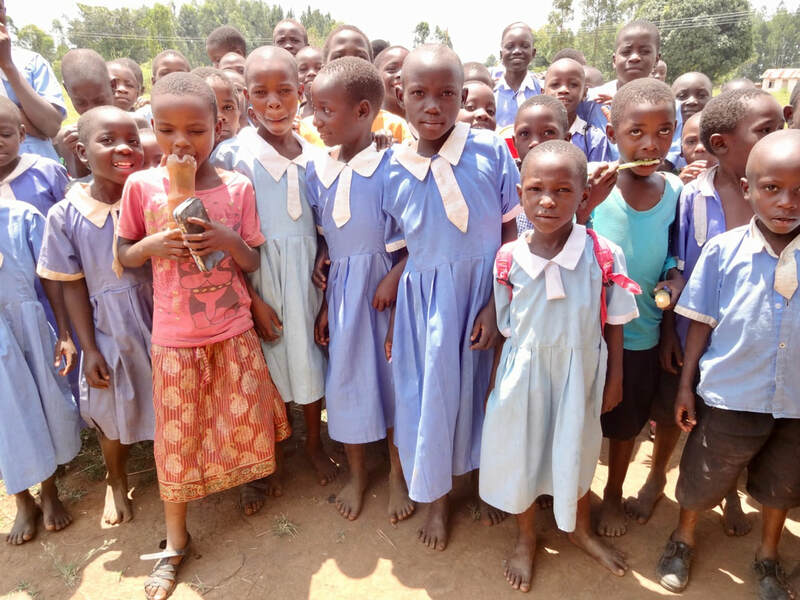 Finally, we have set up clubs in each school where girls can develop greater self confidence and learn about menstruation informally through games. 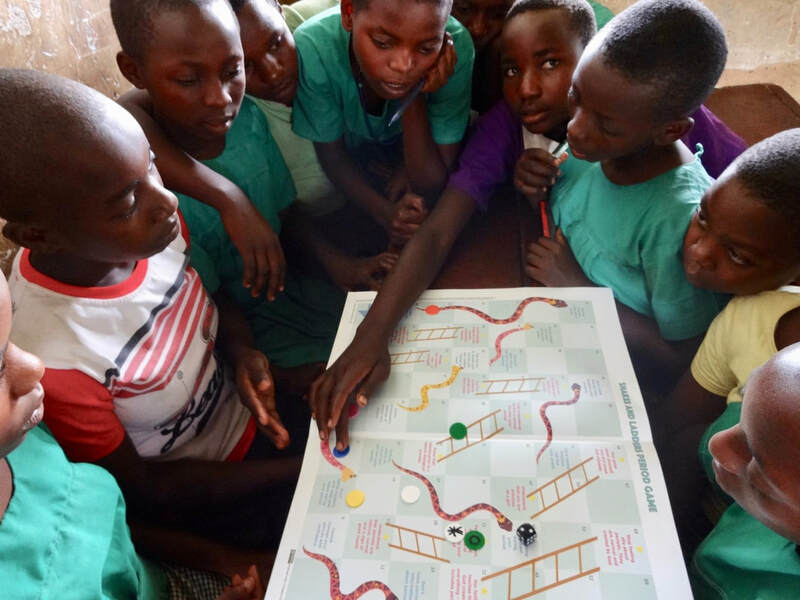 We have developed a period Snakes & Ladders game and a fun bowling activity where pupils try to knock down bowling pins (in reality bottles of water) with a ball; each 'pin' has a myth about periods on one side, and the truth on the other; pupils score points for how many they can knock down. 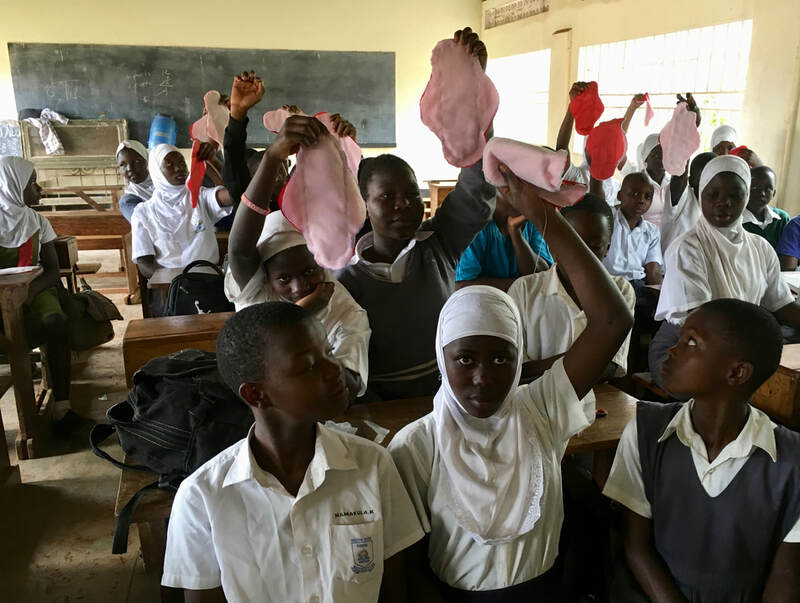 The clubs also give practical sewing lessons in making reusable sanitary pads. 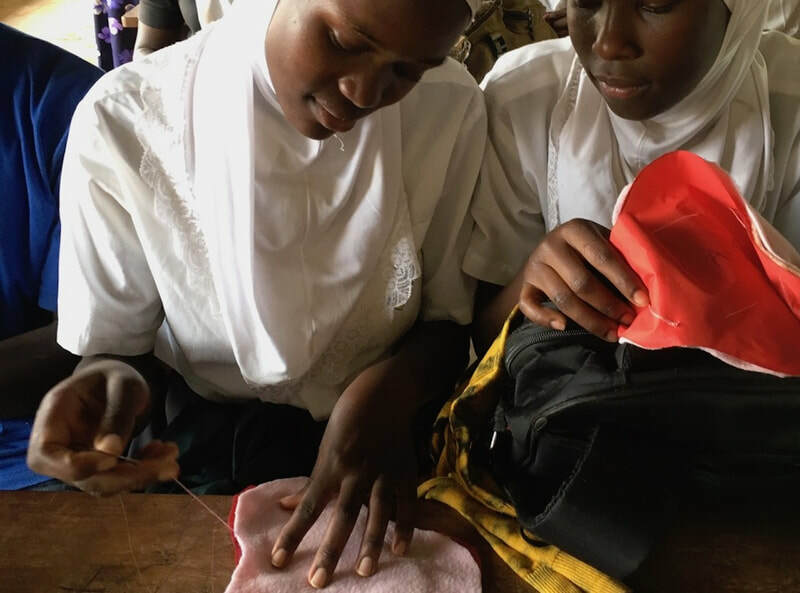 We provide schools with a manual sewing machine, equipment and fabric, as well as training in making the pads. 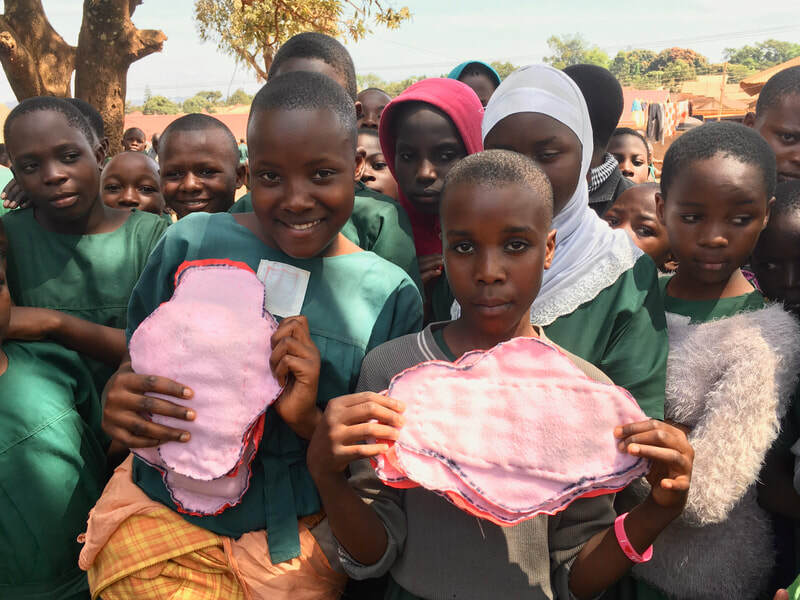 ​We ask the schools to ensure that each girl can make two pads at a time - one to keep (or pass on to a friend) and the other to sell to raise money to buy new fabric for the club. 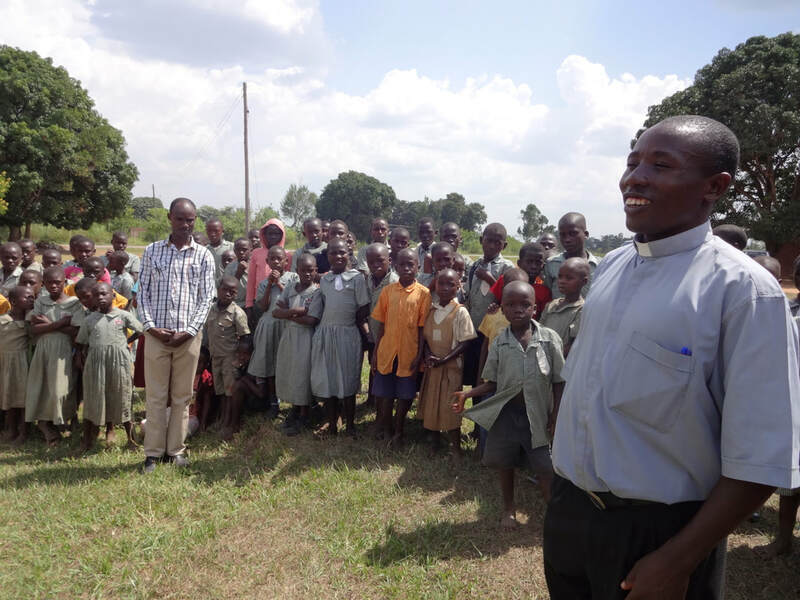 This way we hope the clubs will be sustainable. 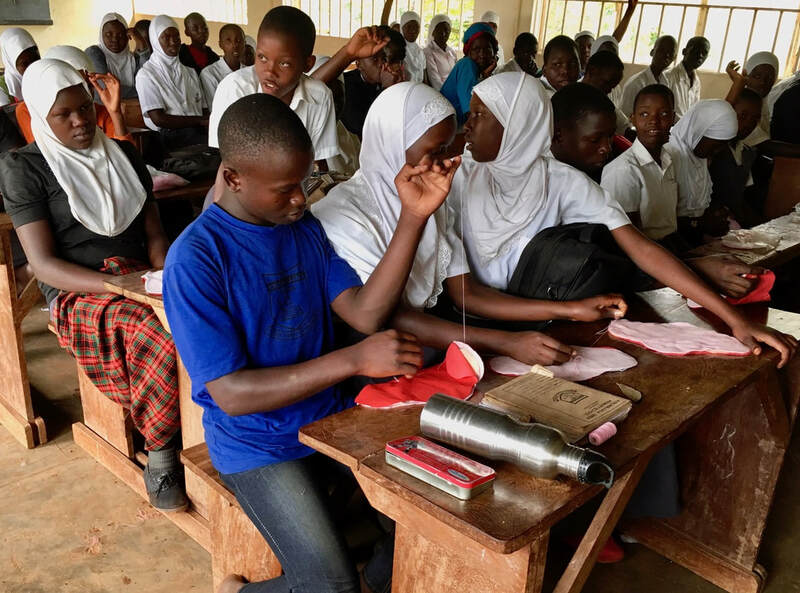 The sewing classes have proved hugely popular with the girls – and with quite a few boys.